Are you in the mood for Chunky Loom Knitted Scarf Patterns? You will love what you see and it’s a fabulous free pattern. This piece will be worn continually. Get the details now. We love Scarves and we have so many great versions on our site. 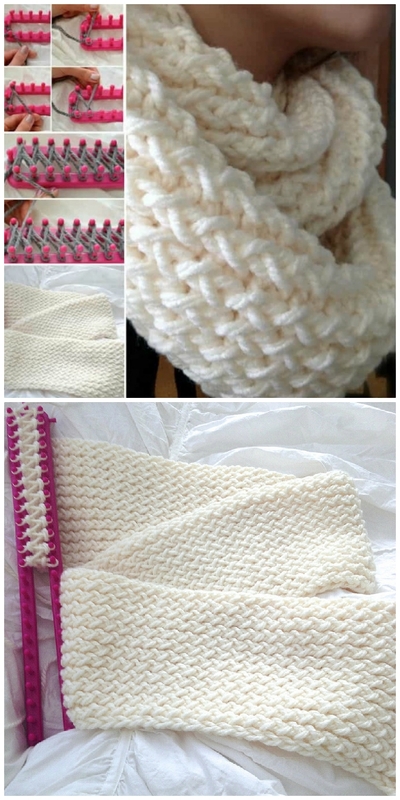 We have shown you how to Arm Knit a scarf in 30 minutes and shared a cute finger knitted scarf with you too. 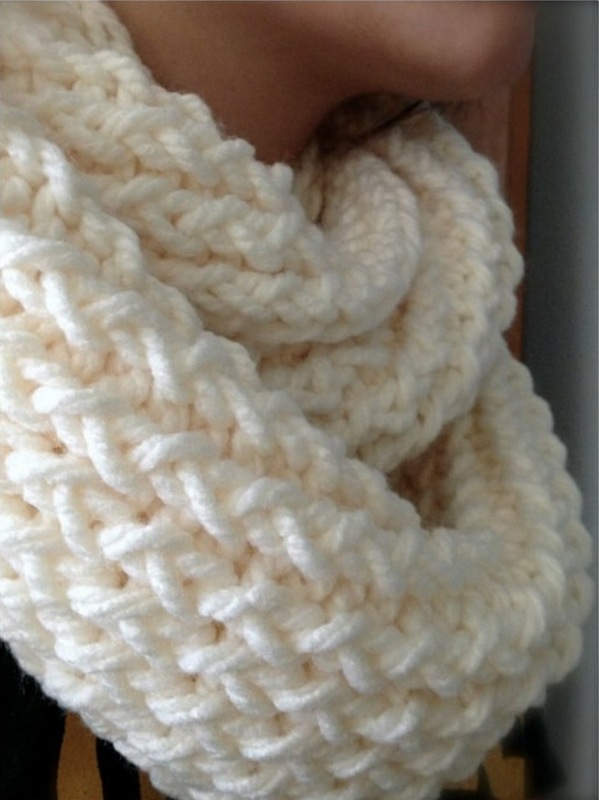 We are sharing a collection of Loom Knit Scarves including this chunky version above. We also have a video you’ll love. This gorgeous Chunky Scarf will be the perfect addition to your wardrobe and you will find yourself making it in all your favorite colors. The clever creator is Kim from Lovin The Oven. 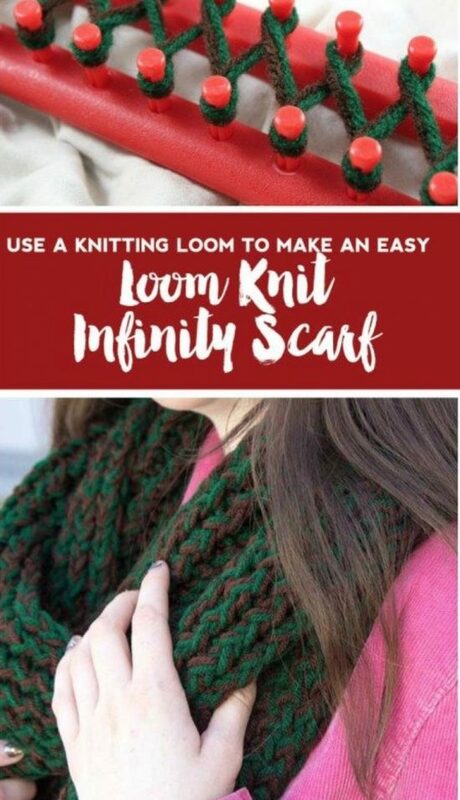 Nancy from Adventures In Loom has made a multi-colored version of the Infinity Scarf and we love the texture and colors. It has a very unique appearance and shows you the different effects that you are able to achieve. What an interesting version this stunning creation is. This Pattern is available with a number of other exceptional ideas and has been very popular. There’s something for everyone. Another very pretty version of the Knitted Loom Scarf that is made using a Round Loom is this one on Instructables. Chelsea from Do It Your Freakin Self has created this version on her loom and the secondary color is only a hint. It is barely noticeable but enough to make a statement. She has a great tutorial on her site.